Ukraine’s former Prime Minister Yulia Tymoshenko is suspected of ‘ordering the murder’ of a member of parliament, the Posecutor General said. If found guilty, she will face a life sentence behind bars. ­Ukraine’s State Prosecutor has completed its investigation of the murder of Deputy Evgeny Sherban, who was shot dead in 1996. Tymoshenko is alleged to have ordered the hit. "The materials collected during the pre-trial investigation show that Tymoshenko really ordered the murder, along with another former Mrime Minister Pavel Lazarenko. Today the Prosecutor General’s investigation team visited Tymoshenko to give her notice," said Prosecutor General Viktor Pshonka. According to the findings of the investigation, the former PMs Tymoshenko and Lazarenko paid Shcherban’s killers $2.8 million. 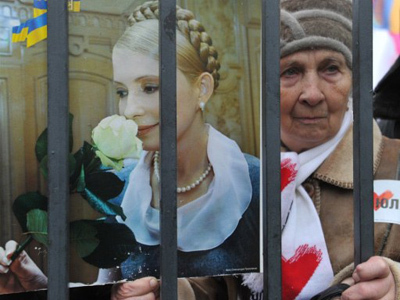 Tymoshenko is currently serving a 7-year prison sentence for abuse of power. “Both Lazarenko and Tymoshenko made money transactions. The first – $500,000 – Lazarenko personally paid to the group of killers. Then $2,3 million was wired and that transaction was organized by Tymoshenko,” the Prosecutor General said. Ukrainian parliamentary Deputy Evgeny Sherban was shot dead in 1996 in Donetsk airport upon his arrival from Moscow. His wife and an airport employee were also killed in the attack. One of the killers was sentenced to life in prison back in 2003. In April 2012 Shcherban’s son, member of a Donetsk local city council, Ruslan Shcherban, sent the prosecutor documentary evidence of Tymoshenko and Lazarenko’s possible involvement in his father's murder. “The order was to kill Shcherban any possible way. What are the motives of this murder? For mercenary ends, business interests,” Viktor Pshonka said. The investigation believes Shcherban’s reluctance in 1996 to place his business under the command of structures headed by Lazarenko, who was then prime minister, and Tymoshenko, the head of United Energy, was the main motive for the crime. “The subject of that argument – gas, prices for gas,” Pshonka said. He added that former Prime Minister Lazarenko personally found the head of a criminal group and along with Tymoshenko met with the killers. According to the Prosecutor General, negotiations were held in the Hotel Natsional. He stressed that there is evidence that shows how both politicians kept in touch with the criminal group. Both Tymoshenko and Lazarenko deny the accusations. The ex-prime minister Yulia Tymoshenko was arrested and then jailed in October 2011 for abusing the powers of her office, most notably in the 2009 gas import deal she signed with Russia. Tymoshenko was also ordered to pay $190 million in fines. Ex-Prime Minister also faces charges of tax evasion from when she headed gas trader United Energy Systems in the 1990s, prosecutors said these two cases have been merged. 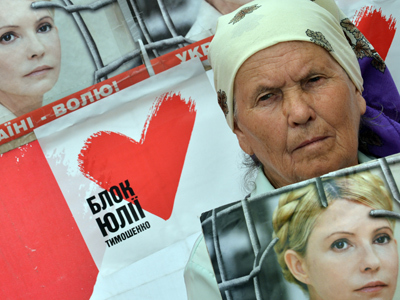 Tymoshenko is undergoing treatment in a hospital in the city of Kharkiv. She will be officially charged with ordering and financing the murder when the state of Tymoshenko’s health makes it possible. At the same time Pavel Lazarenko, Prime Minister in 1996-1997, has just served a nine-year prison term in the US for extortion and money laundering that ended in November. He remains behind bars until his immigration status is settled, according to Immigration and Customs Enforcement (ICE). Lazarenko’s immigration court hearing is scheduled to take place in May 2013. Back in August, the Prosecutor General’s Office said that Lazarenko was ready to testify in the Shcherban murder case and Ukrainian prosecutors would fly to the US to question him as soon as they obtain permission from American authorities.